This one's had been on my wishlist for a while so with some foodie friends of ours visiting from interstate for the weekend and the sun shining, we headed to Hammer + Tong in Fitzroy this morning. 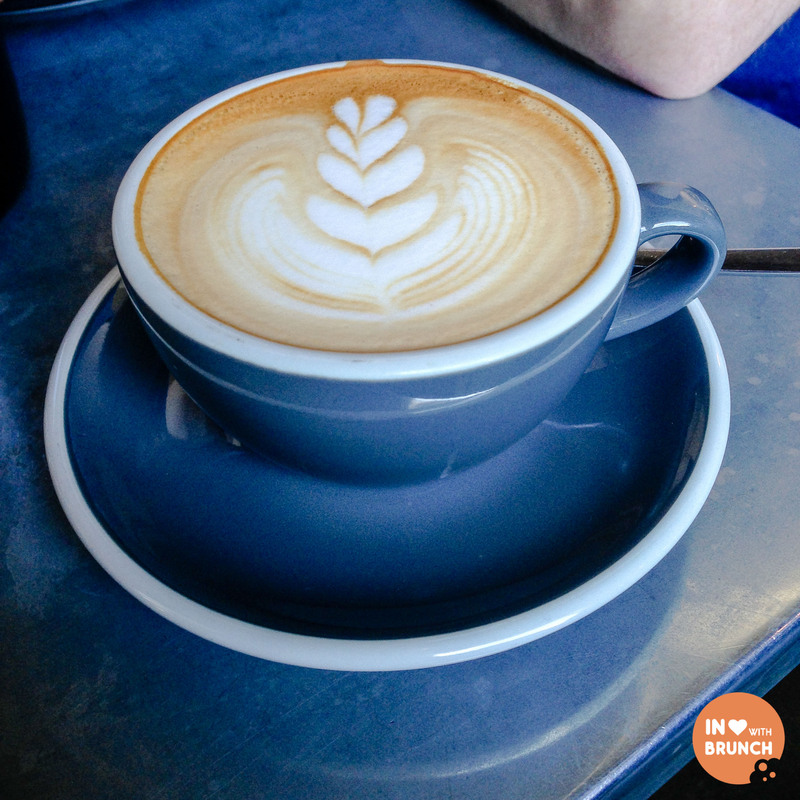 The coffee was Duke Coffee Roasters house blend which was strong but balanced + perfectly smooth when teemed with Bonsoy milk in my soy latte. 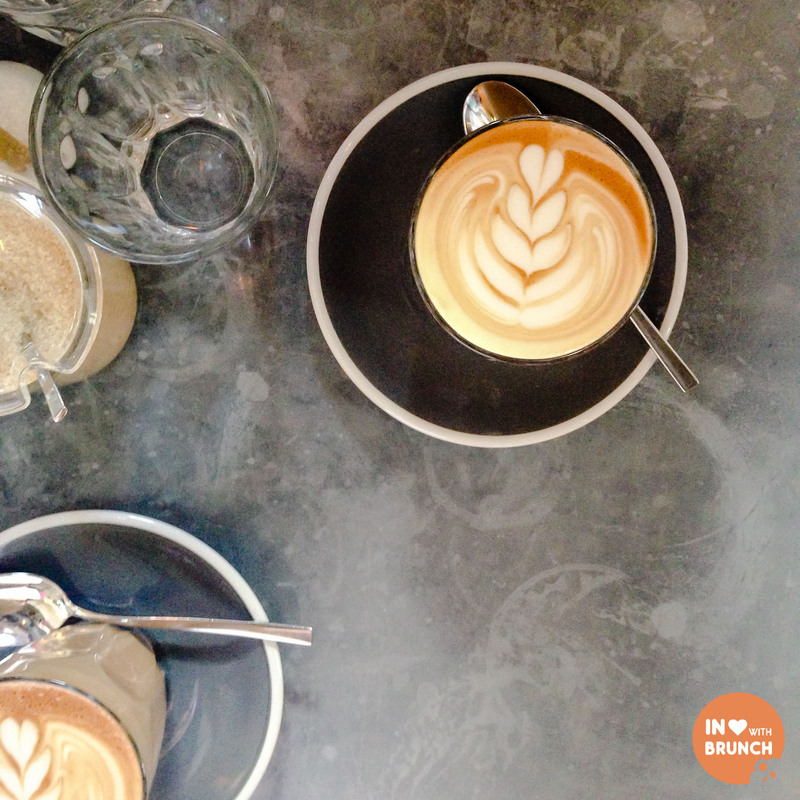 The coffee was consistent with two more lattes + a flat white all delivered with picture-perfect latte art. I know I've mentioned it before, but I'm also still in love with acme cups. The menu is definitely unique, offering plenty of variety for the adventurous bruncher whilst providing a few staples for those after a more familiar dish. For example, in addition to the few that I'll outline below which we sampled, there was a breakfast ramen, lebanese eggplant + paneer curry, spiced baba ganoush + an on-trend soft shell crab burger. Salt + Pepper French Toast, fried duck egg, maple, sausage crumble, duck egg + salted caramel ice-cream. I had literally been salivating all morning, having already known that this was what I wanted to order. And I was not disappointed (phew!). It is certainly a very complex dish, over-stimulating the taste buds but in a good way. You wouldn't think that ice-cream (and salted caramel flavour no-less) would go with all of those savoury components, but surprisingly it does - almost like mixing maple syrup with bacon. I've not had duck egg before, but I have to say I'm now a huge fan - it has a stronger flavour than a regular egg; which paired perfectly with the soft savoury french toast slice which it sat atop. A great start to our brunch. 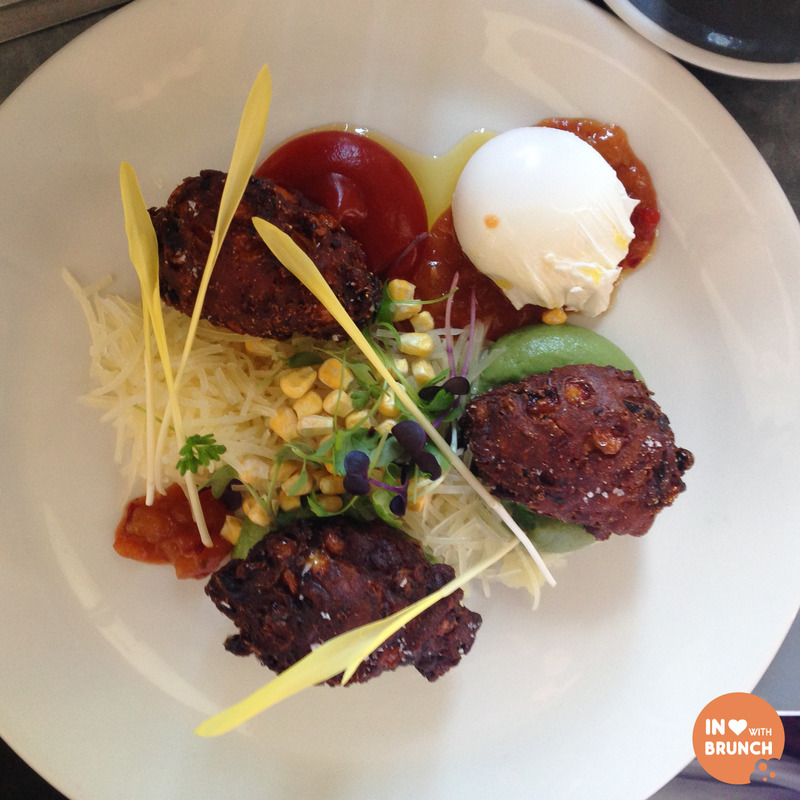 Corn + Zucchini Fritters, cumin spiced avocado mousse, manchego, tabasco jam, chilli, tomato + a poached or fried egg. This dish had a plethora of deconstructed mexican components with the manchego cheese, chilli, corn + avocado; you'd be forgiven for thinking you'd walked into a taco bar but thankfully the fritters and poached eggs help turn this into a light + tasty breakfast dish. The egg was poached perfectly + with a kick of spice this would be a good substitute for any huevos rancheros lover. Lavender yoghurt custard, strawberry + pineapple gel, berries, lychee with basil cress. 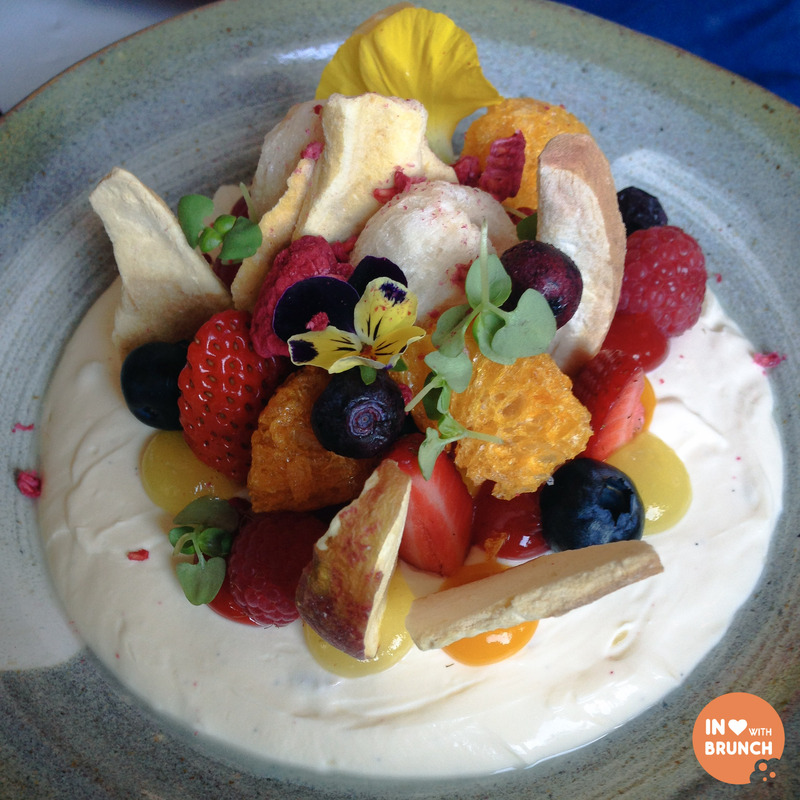 The prettiness of this dish could rival the artistic Top Paddock hot cake (gasp!). It is so gorgeous you almost get stage fright, not sure where to dig in first. And then I decided .... that dehydrated lychee --- OMG! Amazing! After that, it didn't take long to demolish the entire dish until we were pretty much licking the bowl. The yoghurt is thick and creamy + quite frankly addictive. And then those gels and fruits + other pretty things ... all unbelievable. There were fresh strawberries, blueberries + raspberries + edible flowers, dehydrated pears, raspberries, mandarin (also amazing!) + did I mention dehydrated lychee?! I was in heaven! As you can see from above, the coffee + food is exceptional! And for that, I can certainly see why this is #1 on the top 10 list for Melbourne on Urbanspoon at the moment - and hope that it stays there for a good while! Congratulations on an outstanding menu + brilliant coffee Hammer + Tong! My only tip - get there early or be prepared for a wait! By the time we left at 11am this morning, the line was down the street! 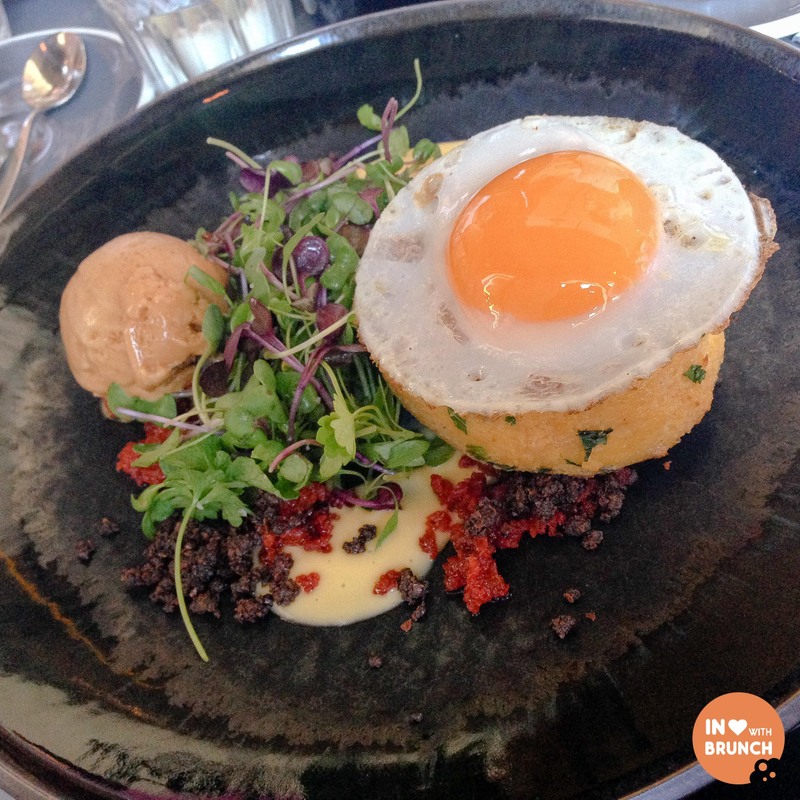 Inlovewithbrunch verdict: Urbanspoon's Top 10 in Melbourne for good reason! 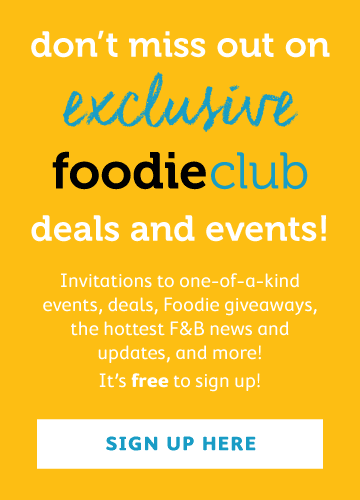 a foodie from melbourne australia with a penchant for brunching!